It matters because funders have a unique ability to contribute to change. It matters because more effective funders can have a profoundly positive impact on the organizations they support — and thus on the people, issues, and communities those organizations serve. It really matters now, in a year that has been particularly challenging for many of us in the nonprofit and philanthropic community. That’s why we at CEP are so committed to spreading more effective philanthropic practice. As my colleagues and I on CEP’s Assessments and Advisory Services team reflect on a busy 2017, we want to take a moment to thank all the funders we’ve worked with over the past year. We also want to thank the grantees, declined applicants, staff, and donors who generously took the time to share their experiences in their responses to our assessment surveys — and without whom we would not be able to bring data-driven insights to funders. To all who responded to one of our nearly 80 surveys, thank you for offering your honest reflections that help funders learn and get better. Thank you to the 11,467 grantees that provided feedback in 2017 through the Grantee Perception Report (GPR). You helped us provide 50 funders with grantee feedback. Thank you to the 727 declined applicants that provided feedback in 2017 through the Applicant Perception Report (APR). You helped us provide eight funders with feedback from their declined applicants. Thank you to the 1,627 donors that provided feedback in 2017 through the Donor Perception Report (DPR). You helped us provide 12 community foundations with donor feedback. Thank you to the 1,123 foundation staff that provided feedback in 2017 through the Staff Perception Report (SPR). You helped us provide eight funders with staff feedback. To the first-time GPR user who said, “We really needed to hear this feedback,” thank you. To the foundation board member who said, “It’s not often enough that we have the grantee perspective in this room,” thank you. To the foundation CEO who said their GPR results “help us understand the value of support beyond the grant check,” and whose foundation is using its grantee feedback data to provide more of the highly-valued non-monetary support to its grantees, thank you. To the foundation CEO who articulated that their GPR results affirmed that the foundation’s focus on advocacy is working, and who is using the data to double down on this effort, thank you. To the staff and board at a foundation who committed, based on grantee feedback, to deepening their understanding of the social, cultural, and socioeconomic factors in which grantees work, and doing more to ensure beneficiary perspectives are incorporated across their work, thank you. To the community foundation CEO whose DPR results have informed their plans for ensuring that their community knowledge and leadership helps them support local needs more effectively, thank you. To the foundation CEO who didn’t shy away from difficult conversations about challenging results, and who saw the data as a moment to pause and reflect when it might have been easier to deflect and reject, thank you. To the foundation whose staff — acting on feedback and suggestions from declined applicants — will, going forward, explain why a proposal was declined and provide feedback to help strengthen future applications, thank you. To the foundation staff members who asked grantees for their input on an upcoming strategic planning process, and who then incorporated grantee perspectives into their planning, thank you. To the many funders who shared their time with other funders seeking to learn from exemplars, thank you. To the many funders who publicly shared their results back with their stakeholders, and who are holding themselves accountable to ongoing improvement, thank you. To all who have worked with us over the past year, we wouldn’t be able to do this work without your commitment to hearing — and acting on — candid feedback. Thank you. 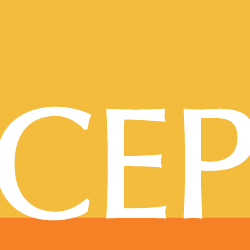 Naomi Orensten is director, assessment & advisory services at CEP.